The vacation season is nearly over and the recovery effect vanishes into thin air when project team members have a first look at their e-mail inboxes after returning. It’s not unusual that hundreds of mails pile up there. No question – project communication is essential for project success - but what can you do not to drown in the flood of e-mails? When you have to deal with a large amount of e-mails, it’s important to classify each mail by importance and urgency. If an e-mail is definitely not relevant, you might want to ignore it and to unsubscribe, if possible. If an e-mail is important, but is not urgent, you can make a task out of it and/or a calendar entry. Additionally, the sender should receive a status e-mail to let him or her know that you have received the e-mail and that you work on it. 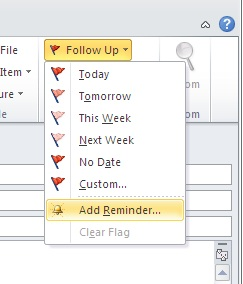 Right click to turn an e-mail into a follow-up task in Microsoft Outlook. Use drag & drop in Microsoft Outlook to move an e-mail into your calendar. As soon as the e-mail has been processed, you should remove it from your inbox. If you use detailed subject lines in your e-mails, you save all the people involved a lot of time and the people you communicate with don’t run the risk of missing important pieces of information. The more specific your subject line – the better. Many team members who receive e-mails take a quick look at an e-mail when they receive it, they think about the content, start to work on it and then postpone it. If you make the resolution to open each mail only once and to work on it immediately, it will save you a lot of time. It can also make sense to define fixed time slots each day to work on e-mails. This measure will prevent you from interrupting your current task whenever you receive new e-mail. Some text modules are used in e-mails on a daily basis. Pre-defined text templates can save a lot of time. In InLoox PM, you can create customized e-mail templates in the InLoox options. Many e-mails address several recipients – with the result that none of them feels responsible for it. That’s why you want to address only one recipient at a time and forgo the CC option. It’s also highly recommended to write a separate e-mail for each subject. This prevents recipients from missing the second topic of your mail and it makes it easier for them to find your e-mail again at a later date. It might happen that you won’t take charge of the e-mail yourself, but that you delegate the task. It’s very helpful to answer the mail directly first and then delegate it or forward it to a colleague. This makes sure that the sender knows that you have received the mail and that it is not necessary to follow-up. You can use your inbox quite efficiently as a to-do list – but only if you keep the number of e-mails in there quite small. That’s why it is better to archive all e-mail that you have completed working on and remove them from your inbox. So you’ll see at a glance which tasks are currently pending. It’s easy to lose sight of tasks and important deadlines in an inbox that is chock-full. 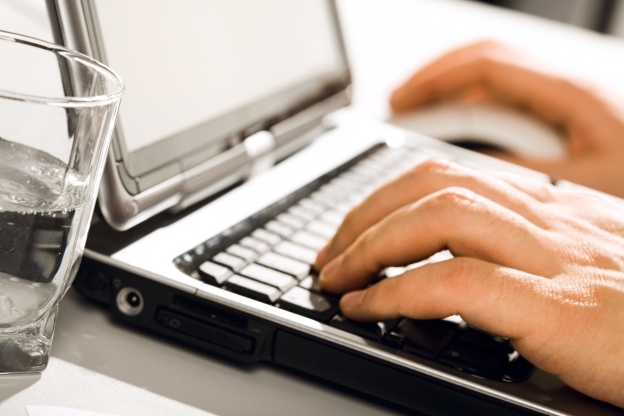 It is best to treat e-mails like “normal“ written business correspondence and archive them as such. This makes it easier to comprehend decisions and agreements after a certain period of time. Most e-mail programs contain a powerful search function these days. That’s why it is no longer necessary to create a great number of subfolders that you might have to search separately to find a certain e-mail. For many users, the inbox folder for active tasks and an archive for completed tasks are completely sufficient. 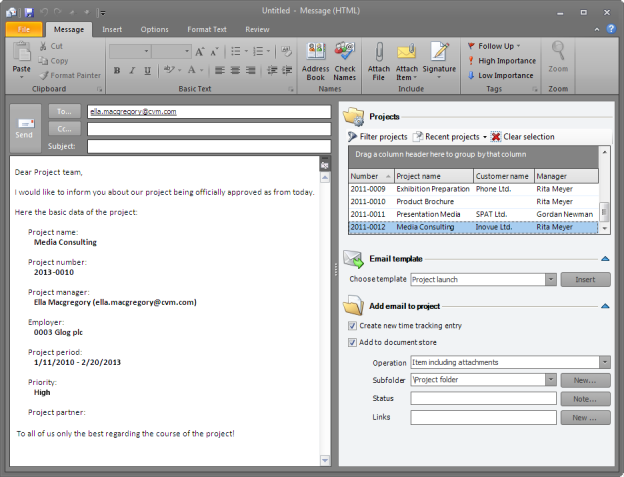 If an e-mail belongs to one of your projects you can assign it accordingly in InLoox PM by using the quick access panels. It’s up to you whether you want to add the mail with or without an attachment to a project, if you want to add the attachment only or if you want to add the e-mail and the attachment separately. You can create a time tracking entry out of it and you can add it to the document folder of a certain project. Ideally, the entire project team adheres to these standards. This makes it as easy as possible for all team members to communicate efficiently via e-mail. 10 tips to use e-mails in your projects more efficiently - InLoox • Copyright 1999-2019 © InLoox, Inc. All rights reserved.